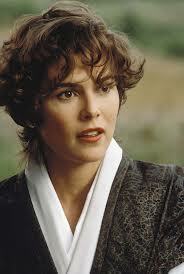 Jean Paige Turco (born May 17, 1965) is an American actress. She is known for playing April O’Neil in Teenage Mutant Ninja Turtles II: The Secret of the Ooze and Teenage Mutant Ninja Turtles III. She is also known for her role as Melanie Cortlandt on the ABC soap opera All My Children.